This 62-page slidedoc is an overview of a proven process for makiing busiiness and policy decisions when many people are involved. The slides are intended for use by decision engineers and coaches to explain the process to teams and clients. 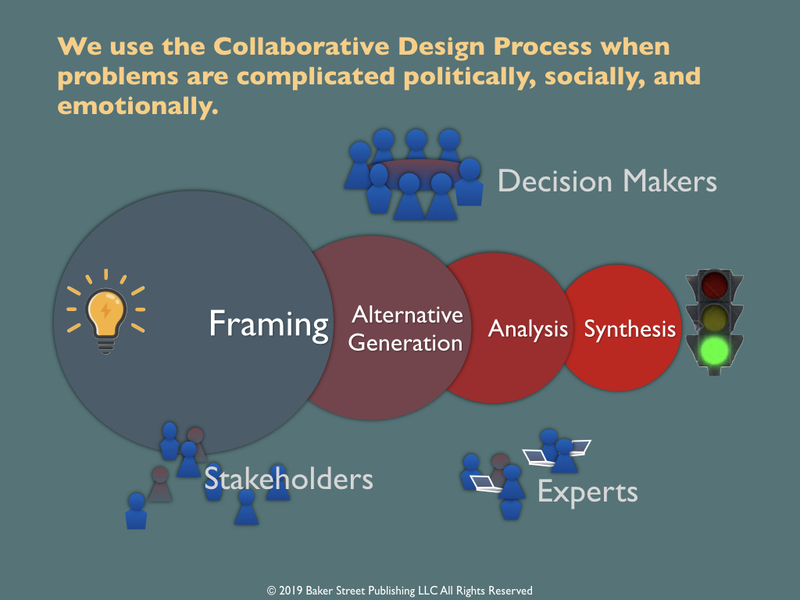 The Collaborative Design Process is the result of decades of decision consulting and coaching in and around Stanford University. It has its roots in the work of many individuals and organizations: the Management Science and Engineering Department at Stanford University, SRI International, Strategic Decisions Group (SDG), SmartOrg, Decision Focus Incorporated (DFI), Applied Decision Analysis (ADA), the General Motors Decision Support Center, and many others. This deck of 70 slides describes a proven process for making strategic decisions, particularly, when many people are involved. 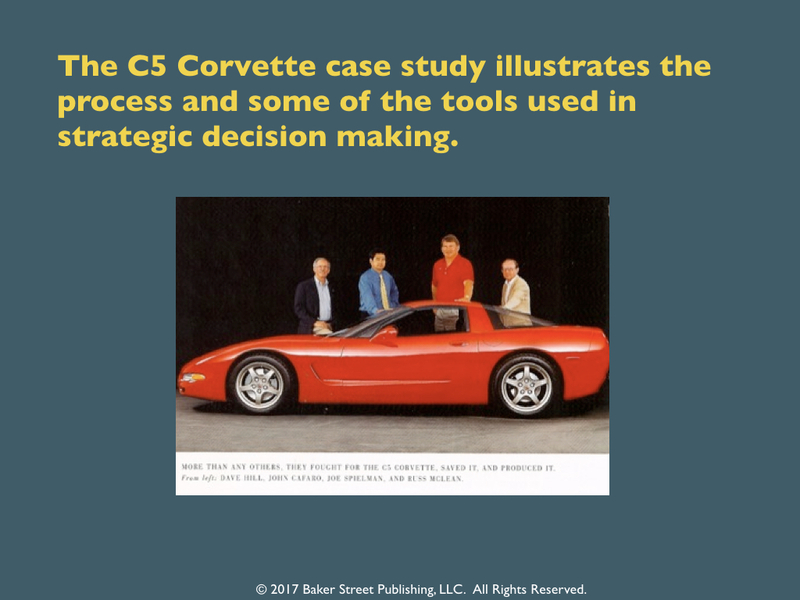 The design of the General Motors C5 Corvette is used to illustrate the process and the tools that go with it. The Collaborative Design Process proceeds in four phases: framing, alternative generation, analysis, and synthesis. Each phase has its way of thinking. Each phase has its special tools. These are described in this presentation in a clear and concise way. 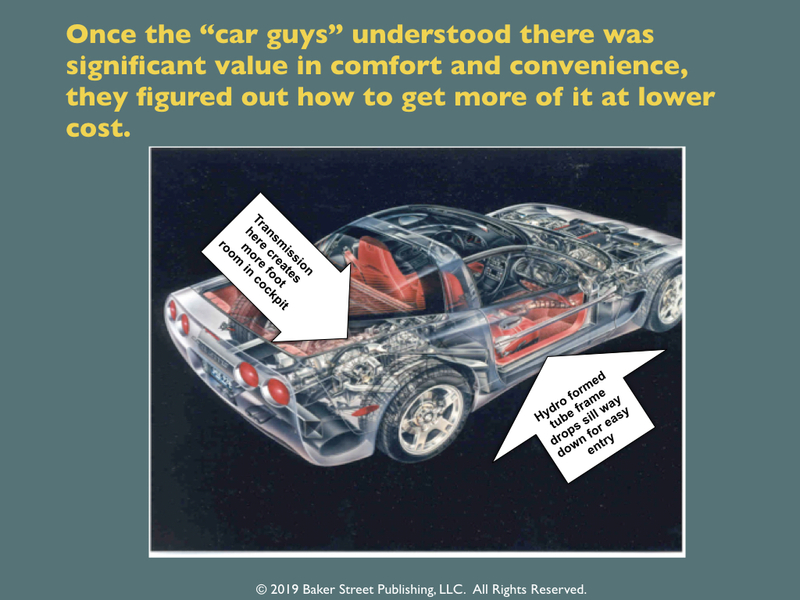 This presentation can be used to train teams or brief executives. The Collaborative Design process provides a pathway for developing options and learning what is important. The combination of analysis and synthesis routinely produces “hybrid” strategies that we never would have discovered using traditional approaches. The framework inspires inquiry and advocacy. It provides a framework for decision coaches to seek a balance. Advocacy is important but too much advocacy can lead to grid lock. Inquiry is the key to breaking gridlock and moving teams toward informed decision making. The Collaborative Design Process provides a framework for groups to seek a balance of inquiry and advocacy. Innovation and good design cannot be guaranteed by any process. Too much depends on the people involved. Nonetheless, the Collaborative Design Process has proven its worth in thousands of strategic situations. This presentation is a companion to the Coach’s Guide to the Decision Analysis Process.